It's been a while since I've dropped by. 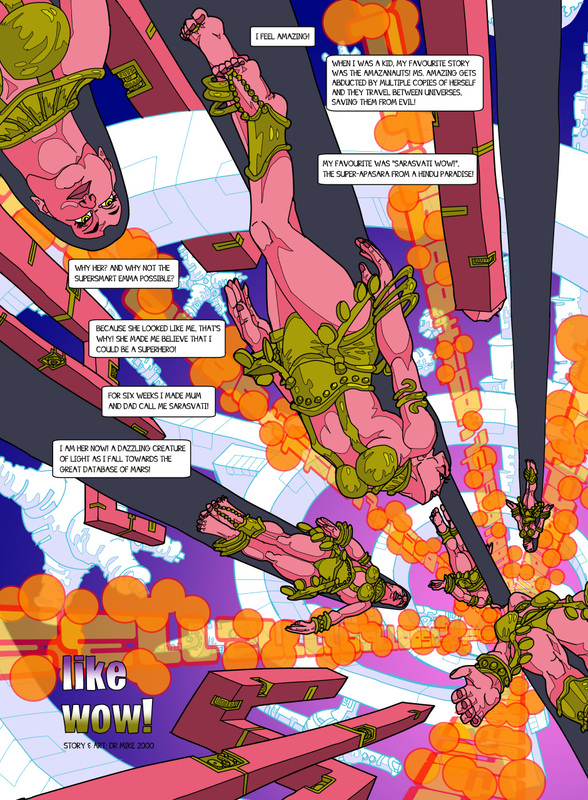 Just letting you know that my comic, Universe Gun, is truly alive and kicking. It's still free to read on www.universegun.com, now somewhere in its 7th issue out of 12. I've got single issues available via the online stoe, and I'm also launching a trade paperback series via KickStarter, which can be found here. Have a look, and spread the word if you know anyone who need a dose of high-intensity high-colour high-strangeness comic goodness! Thank you, Epimethee! Much appreciated! And hi, Freedom Reborn, long time no see! Yeah, so Universe Gun has now hit it's 9th issue in singles, with #10 (out of 12) coming soon in April! This second book, "Amazing Inequality" collects #5 to #8. Check out the story so far on www.universegun.com if you want to try before you buy. 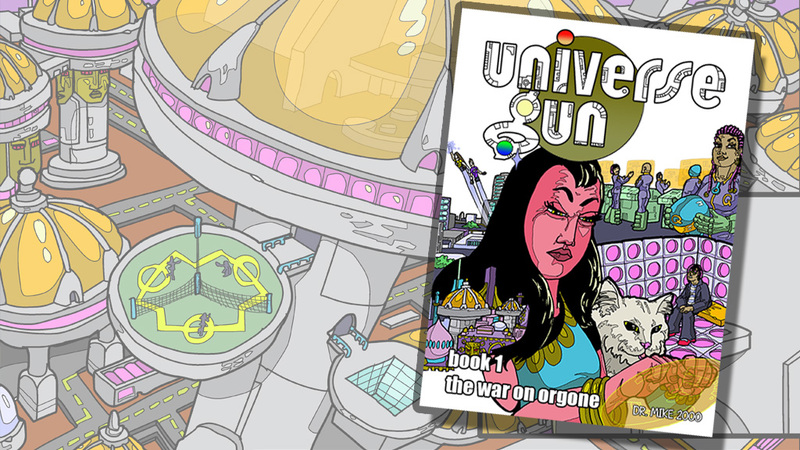 You'll probably find much of the same sensibilities and story-telling style that suffused The Strangers, Tales of the Navigator and The Amazanauts in here, and even a few characters and settings, since Universe Gun takes place in Ms. Amazing from the Amazanauts's world. Book 2 got fully funded pretty quickly, but I'm aiming at a stretch goal now for a free 8 page black and white mini-comic for all backers. Help me bring "The Emperor's New Moon" to life!